It's 9am, you've just guzzled down your dose of caffeine for the hour and then you see the email. A one-on-one meeting with your boss, entitled 'Performance Management'. What are your first thoughts? I think I speak for most people when I say the phrase brings with it negative connotations and a fear of impending disciplinaries. But why? 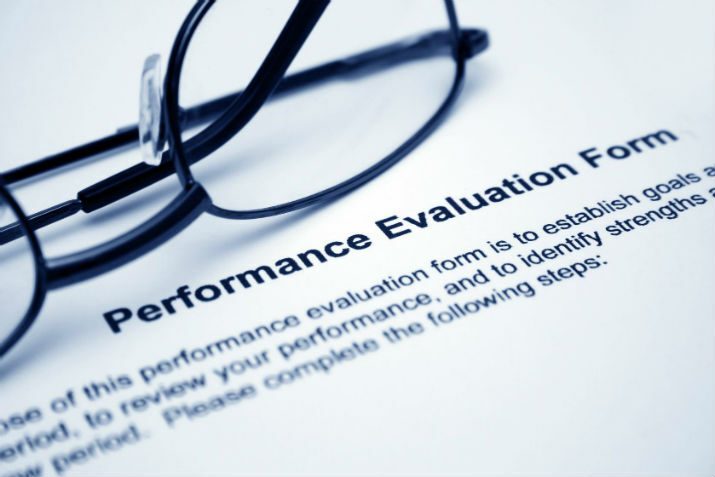 'Performance Management' is basically the assessment of an employee, process or equipment in order to gauge progress towards predetermined goals. Sometimes called 'reviews', these meetings allow employers to keep tabs on employee work rates and project developments. Over the years it's become a fearsome date in any employee's diary, often expecting the worst and mentally packing their desks into a bindle beforehand. But performance management meetings needn't be negative. The predetermined dread comes from an underlying notion that anything 'assessing' one's performance is destined to be negative. Criticism on any level can be hard to digest, even more so if it is aimed towards something you spend 40 hours a week perfecting. Conversely, criticism is the only way we ever get better at anything. The key with a performance management meeting is to make sure it's constructive, positive and useful. Bad managers will see it as an opportunity to focus on an employee's weaknesses in a way that doesn't offer help or solutions. Good managers will take the time to understand what hurdles the employee is facing and how best to overcome them. Bad managers will use surreptitious attempt to prod an employee into improvement. Good managers will use incentives and tailor-made targets for them to strive for. You get the idea. Without sounding obvious, give the meeting a purpose. Having a performance meeting just for the sake of it (every other day for example) will undermine its significance and impact. Set an agenda by using bullet points and encourage effective interaction. By this I mean listen to their feelings, issues and opinions. Not only will you then understand how to move forwards, but they may highlight an area within the business for potential improvement that has previously been overlooked (such as your internal or external training programs). Another positive angle you can take is comparing their performance with that of the year before. This way you can point to all of the progress, improvements and achievements they have made, giving them a new perspective and morale boost. By then highlighting areas they could still improve in, you have already boosted their self-confidence, giving them even more motivation to take the points on board. Of course there can always be variables in such cases, with illness, family issues and injuries all being factors to take into account throughout the year as a whole. These can obviously affect productivity and must be taken into account when conducting an appraisal. Performance management covers everything from productivity and quality, to development and general behaviour. The process should feel comprehensive in a way that you both leave the meeting feeling refreshed and motivated. Apart from the development of personal skills, an employee's behaviour has a massive effect on the overall business. Employees determine whether the atmosphere within a team is hostile or calm. It is possible for teams to become too friendly in a sense that their friendship on the job is counter-intuitive to productivity. Finding the right balance between a calm and friendly team of staff is the best recipe for any business and fosters a better working environment. Having both individual and group meetings helps to nurture such an atmosphere, as you gain a wider perspective of how the nuts and bolts of the company come together to make the most efficient machine overall. If you approach goal-setting the SMART way with every employee you can ensure there is a controlled (yet variable) blueprint you can follow in each review. Getting the most out of an employee has never been about piling pressure on them in order to achieve an unrealistic target within X amount of days. Instead, it is about considering where they are currently at in terms of knowledge and ability, then motivating them to get to the next level. The keys to such motivation lies in the approach you take in the meeting, delivery of your points and the use of the SMART goals rule. This promotes a positivity within everyone and a genuine feeling of self-belief - proving to be a catalyst for improvement all-round. Just like an appraisal, here's something for you to take away. If you don't already do so, try using more positive words the next time you conduct a performance meeting. Instead of 'weaknesses' try 'areas for improvement'. Instead of 'this wasn't up to standard' use 'this could be made better by'. Doing this will put you on the first steps towards a more constructive, fruitful and mutually beneficial meeting with all employees. In all, a performance management meeting shouldn't feel like an employee has been summoned for a verbal beatdown. It should feel like a 'here are your strengths' pat on the back, along with a 'let's make you even better by doing this...' pep talk. This method is often known as the feedback sandwich - whereby you deliver a negative between two positives. Then hopefully, the next time they see that meeting in their calendar, they will be drinking their coffee up quicker than usual and skipping to your office.